With our locations in three prime districts, there is bound to be a CityHub office suited for you needs. 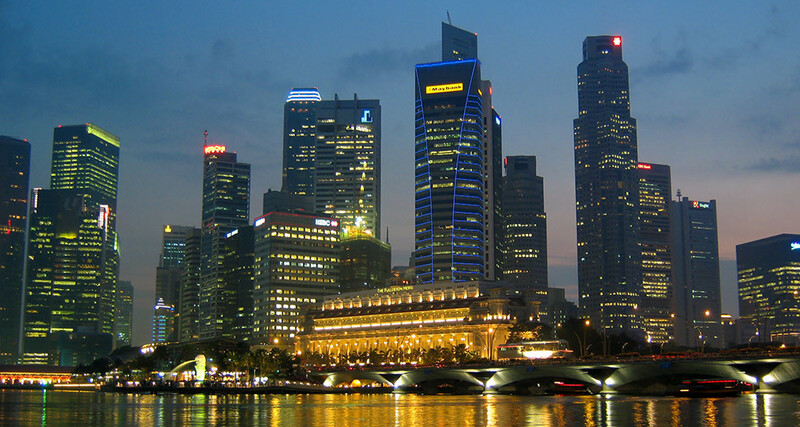 Located in the heart of Singapore’s economy, Collyer Quay is a choice location for multinational firms. 20 Collyer Quay is nestled in Singapore’s Wall Street and offers awe-inspiring panoramic views of the Marina Bay waterfront, its surrounding attractions and the Central Business District at the very comfort of your office suite. 20 Collyer Quay, an A-grade building, provides tenants with a deluxe and conducive work environment, a vibrant lift lobby and secure surroundings for your business needs. Situated next to Raffles Place MRT station, 20 Collyer Quay is accessible from the station by a fully sheltered walkway. Its proximity to financial institutions, crucial government buildings, five star hotels, transport facilities, eateries and places of attraction make it ideal for both business and lifestyle needs. A hangout for Singaporeans and a must-visit for tourists, Ngee Ann City is a city within a city – an iconic shopping complex that houses both commercial and office facilities within its grand stature. Sitting about the bustling streets of South East Asia’s shopping boulevard, Ngee Ann City Towers accommodates a variety of offices for businesses looking to immerse themselves in the hustle and bustle of the city. Being in the vicinity of other landmark malls, businesses are guaranteed the plethora of lifestyle choices these malls have to offer. Beyond this, the centralised location of the Towers also means that businesses are simply a walking distance away from hotels, embassies, banks and medical centres. Convenience is never a worry. Our CityHub office is conveniently located at Raffles City, an iconic landmark in Singapore. Raffles City comprises of Raffles City Tower, Raffles City Shopping Centre, Raffles City Convention Centre and two hotels – Swissotel The Stamford and Fairmont Singapore. Raffles City Tower provides tenants with a conducive working environment, a vibrant lift lobby and secure surroundings. It is certainly a choice office building for businesses with its strategic location and direct connectivity to City Hall MRT station, one of Singapore’s major MRT interchanges. Raffles City’s integrated development also offers a variety of lifestyle choices and the convenience of having amenities and facilities such as financial institutions and eateries.